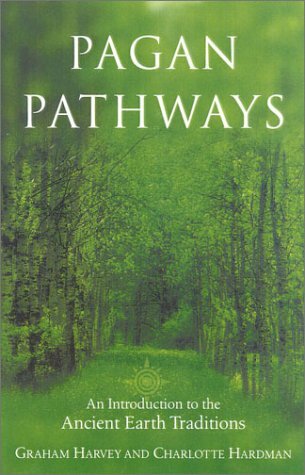 Left Hand Path (LHP) is a phrase used to describe some alternative religious movements and religious practices involving magic. LHP movements are said to involve self development instead of communal concerns, self analysis instead of group meditation, self empowerment for material reasons rather than for spiritual ones. The focus is on individualism, freethought, intelligence and personal abilities and gifts. Practitioners of Thelemic Magic and Chaos Magic (championed by Aleister Crowley and Austin O. Spare respectively) often call themselves LHP1 and Satanism is one of the few left-hand-path religions. Historically some LHP groups have pushed past the limits of acceptable behaviour. The LHP is contrasted with the "Right Hand Path" (RHP) that upholds symbols of goodness, of the sun, of herd mentality and of submission to gods and religious authority. The idea of the "left hand path" comes from Indian Tantric philosophy which contrasted the left path (vama-marga) against the right path (dakshina-marga); this terminology was popularized in the West through the teachings of Helena Blavatsky and the Theosophists, who were responsible for bringing many Hindu teachings from Indian and Westernizing them1,2. "Left-handedness" has had ancient negative associations and "the left" (as a symbol opposed to "the right") is nearly always the inferior of the two3,4. The English word "sinister" comes from the Latin word for "left-handed" and in history Christian and Islamic institutions have ostracized left-handers and physically punished them. The RHP represents the vast majority of religious practice in the World and followers of the LHP are often instinctively reticent about revealing their affiliations. Emphasis on freethought and a rejection of codified doctrine. The "rules" in LHP religions are frequently merely "guidelines". Personal, not universal. LHP philosophies do not claim that they are the best religion for all people and frequently claim they are only a valid religion for some people. For an analysis of this aspect as embodied by Satanism, see "Satanism and Elitism: The Alien Elite: 2.1. Culture: Rise Above Culture" by Vexen Crabtree (2002). Individualism: 'The individual and his/her spiritual development is the primary concern in Left-Hand Path spiritualities, even with individuals operating in groups. ... It could be argued that most or all esoteric traditions throughout history have been individualistic in character. However, the distinction with Left-Hand Path spiritualities is that this individualism is raised to the level of explicit ideology'2. The View of Man as a Psycho-physical Totality: In other words, there is no dualism. 'The essence of man is considered to be both physical and psychic, and any absolute separation of these spheres is considered unsound, reductionist, or even impossible'2. 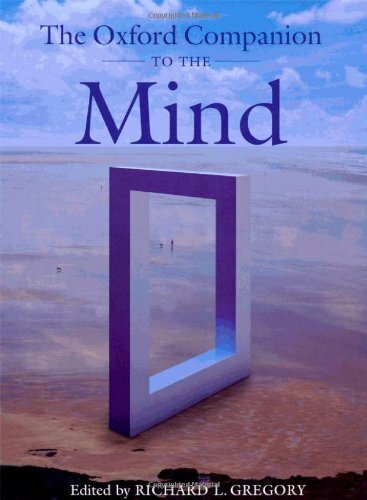 See "The Satanic Mind is Balanced" by Vexen Crabtree (2002). The Appraisal of Life in the Here-and-now: 'The focus of Left-Hand Path spiritualities is on corporeal existence in the present, not on an afterlife. All aspects of life are valued, even its destructive aspects. [...] Moderate to extreme hedonism is advocated'2. See "The Religion of the Flesh" by Vexen Crabtree (2002). The Goal of Self-Deification: Granholm starts off sensibly with these words: ''On the one side of the continuum we find psychological interpretations in which self-deification signifies assuming total control over one's own personal existential universe'. See "Masters of Existence: Subjectivism and Self Worship in Satanism" by Vexen Crabtree (2015) for a full explanation of this type of thing in Satanism. Granholm then takes us off firmly into la-la-land with the second half of his text on apotheosis: 'On the other side we find purely metaphysical interpretations in which the practitioner is thought to become an actual god'. I would hope very much that Granholm has not found a single practitioner who actually holds to the belief that their path results in such an outcome! Many of the longer quotes above are taken from Kennet Granholm, who writes on the features of left-hand-path religions in a chapter in "Contemporary Religious Satanism" by Jesper Aagaard Petersen (2009)5,2. The left has become nearly universally shunned. The right has been associated with all things good and pure whilst the left has been shunned as unholy, evil, and relegated to inferiority3,4. Although Gooch says that "the left is universally unlucky in the classical world", Gregory (1987) widens the scope considerably by saying that "this symbolism has pervaded nearly all cultures (except the Chinese). Ancient Greeks and Romans regarded the left side as inferior and profane, and in medieval times use of the left hand was associated with witchcraft". In New Zealand the Maoris considered the right side to be godly, representing life; the left side is dedicated to demons and the devil, representing death. Muslims believe good spirits speak into peoples' right ears, but evil spirits speak into the left. In medieval Europe the Devil is drawn with its left hand outstretched. Amongst North American Indians the right represents bravery and virility but the left signifies death and burial. Early Native American mothers would tie their babies' left arms to make them righthanded, matching the customs of some Catholic schools during the Dark Ages (and beyond). In China you must eat with the right hand. The Nuer people of Africa, the Dutch Indies local native populations and many other old cultures bind the left arm to put it out of use 'for long periods', especially in the young and with left-handed people. Throughout the African continent the right is good and the left is evil. In some places wives should never touch their husbands' face with their left hand. The same patterns persist in South America: The right is good, is life, is divine but the left is female, bad, evil and morbid. Exceptions: It is not completely universal that left has been inferior to right. In Eastern symbolism, left (Yang) is male and right (Yin) is female. In nearly all languages the etymology of words and saying associated with the left are negative and fearful. The word 'left' is associated with evil, trouble or the devil. In Latin 'left' and 'sinister' are linked. The same pattern repeats in many cultures and societies. Right is Good: "Right" apart from "dextrous" variously means direct, erect, erection, correct, regal, royal, regiment, rights, forthright, upright, dignity, decent, decree, doctrine and so on. Catholic Schools until surprisingly recently used to punish those who dared write left-handed because they were presupposed to be working for the devil - such children were "corrected" - a word which itself means "with the right". In the Qur'an and the Christian Bible the elect and God's favourite sit on its right hand side, and the damned on its left. In the Gospel of Matthew the author has Jesus place God's followers (the sheep) on its right and the goats (non- followers) on its left hand side (Matthew 25:33). The Catholic Church held for over a thousand years that being left handed made you a servant of the Devil and that anything left-handed was evil. [Gooch, 1984] Muslims forbid the touching of any holy scripture with the left hand. Jesus sits on the right hand of God. In pictures of the Last Judgement the Christian God shows his disciples their new heavenly abode with his right hand, and points with his left to hell. The Left Hand Path, therefore, being the demonic, the diabolical and the Earthly path to Hell. Stan Gooch highlights the fact that in the vast majority of cultures, from every continent from Africa, Asia, Australasia, Europe and the Americas, the the "left" is normally associated with femininity and the "right" with masculinity. This is despite the fact that 'almost twice as many males as females are left-handed'7 but let's not let mere facts interfere with the superstitious religions of the world, eh?! The reasons for this association are lost in time. Gooch points out that because the left hand is frequently weaker than the right that this might have lent itself to the comparison to womankind. The left has also frequently been associated with the lunar sphere - therefore with the night, the bad and uncanny spirits of the world, and with devilry. Most religious traditions have involved either sun-worship or nature-cycle symbolism: The sun makes the crops grow and is good, and the moon represents dark, hard times, and is often Satanic. A "left handed whore" was a Roman term for masturbation9. "Left" has had sexual connotations in many ancient cultures including Hindu and Buddhist thought. Various indirect factors could have contributed to a general treatment of the left-hand as negative. Consider some of the following possibilities, all of which could be given religious interpretation from time to time. Prejudice: "About 90 percent of the world's population is right-handed"7. Is there a kind of subconscious fear, distrust or apprehension of left-handed people, based on the occasional subconscious perception of the weird physical movements of those that are left handed? A higher proportion of geniuses. Gooch (1984) does not conduct a statistical analysis, but he does state using anecdotal rhetoric that left handed people are disproportionately gifted. "One is struck by the quite outstanding contributions of 'lefties', academically, artistically and in all branches of sport. In many cases they are the very by-word of excellence ... as the following brief list of left-handers shows: Beethoven, Michelangelo, Leonardo da Vinci, Goethe, Nietzsche". The point isn't to evaluate whether or not this is true, but, to realize that people only have to think it is true in order for social stereotyping to occur. This in itself may result in difference in attitude towards- and from- left-handers. Left-Handed people are weirder? Perhaps left-handed people exhibit some slight difference in personality. Gooch points out that there is a high incidence of the left-handed amongst practitioners of many occult arts and proposes that part of the reason for the historical dislike of left-handed people is that they are noted for their uncanny skills and unnatural talents, provoking fear and distrust. Primitive left-handed sanitary habits. Societies and peoples in pre-modern times used their left hand to clean themselves after defecation because the right-hand is normally the dominant hand. So food was not handled with the left hand and it was an offence to offer to shake someone's hand with your left hand. In the Arab world, holy texts could not be touched with the left hand. Minor correlations between left-handedness and some other traits may play a role. The increased incidence of migraines and autoimmune diseases (which are often visible) could have lent themselves to interpretation, in our superstitious past, as the afflictions of demons upon left-handed people. I think all forms of Satanism are considered Left Hand Path, even Devil Worship and inverse Christian-Satanists are Left Hand Path, although they are frequently considered deluded. Left Hand Path philosophies do not claim that they are the best religion for all people and frequently claim they are only a valid religion for some people. 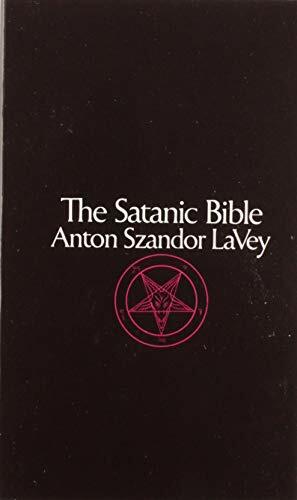 "Satanists are born, not made" LaVey. Satanism and the LHP is striking for the lack of missionizing. This is probably the result of the admission that no religion, philosophy or belief system is suitable for all people. (1969) The Satanic Bible. Published by Avon Books Inc, New York, USA. Anton LaVey founded the Church of Satan in 1966. A paperback book. 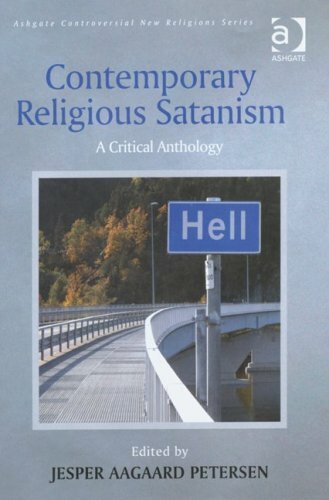 (2009) Contemporary Religious Satanism. Published by Ashgate Publishing Limited, Surrey, UK. An anthology. A hardback book. 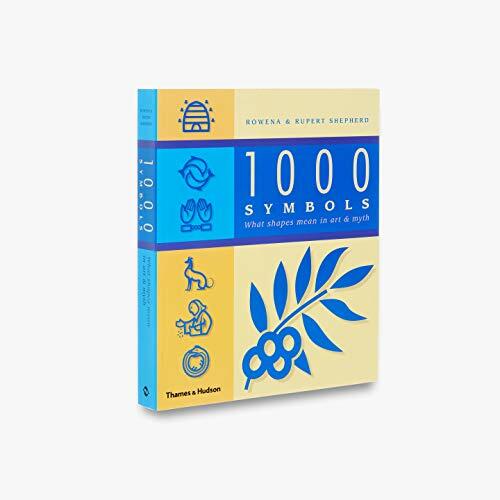 (2002) 1000 Symbols. Published by Thames and Hudson Ltd. A paperback book.